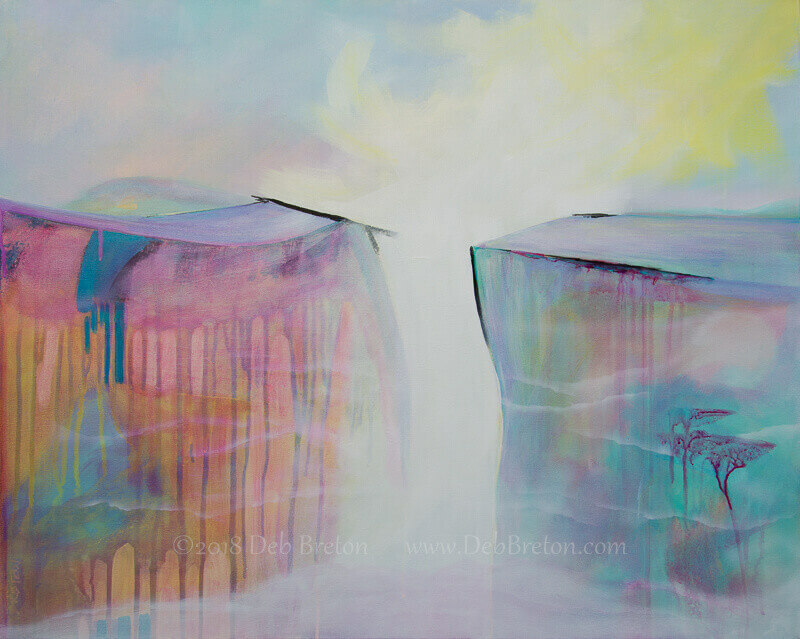 On the Precipice captures a surreal landscape painting that was dreamed up in my head after a yoga session. There are a lot of colors and transparent layers in this piece. I used acrylics, ink, airbrush and oil stick. Plus there are many, many layers of acrylic glazes, probably 10 layers in some places. Before beginning the painting, I toned the background with iridescent gold, which FAINTLY shows through in some areas. Mostly the gold beneath refracts the light, giving it its depth. The gallery wrapped canvas measures 24 x 30 or approximately 61 x 76cm. The sides of the deep canvas are 1.5″ and painted white. 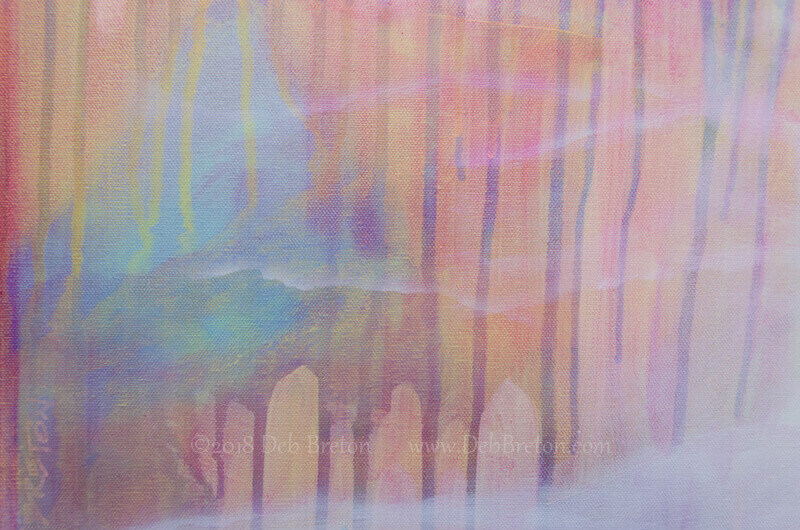 I just love these juicy colors and the ethereal feel to the piece. And finally as with the majority of my work it is finished with professional non-yellowing varnish. Helping to protect it from harmful UV rays and dust. Available here! After a few stops and starts here in the studio, am finally being more prolific again. Thank you for stopping by – Hope you are doing good and in good spirits! A slight change of direction Deb? I like the use of line in this piece and those tree like structures on the bottom right are intriguing. Thanks Graham, your input means a lot to me, cheers! Another lovely painting. The technique emphasizes the two “monoliths” meeting. I am particularly fascinated by the two “trees” in the lower right part of the painting. I’m glad to hear that, thank you Otto.